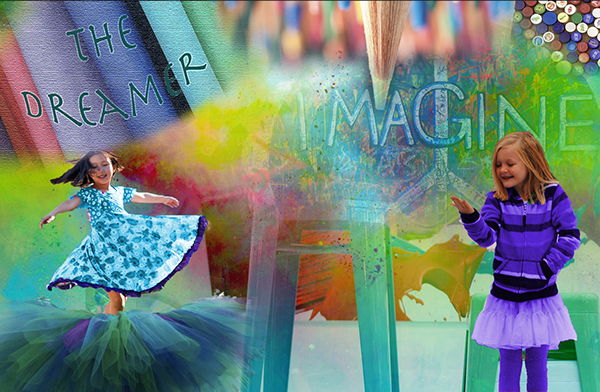 Inspiration & Theme Board for my little girls collection. Different details that would be used in the full collection; collar, ruffles, gathering, braid trim, bow, zipper, star buttons & studds. A mini collection that would be shown as part of the full collection for the little girls. 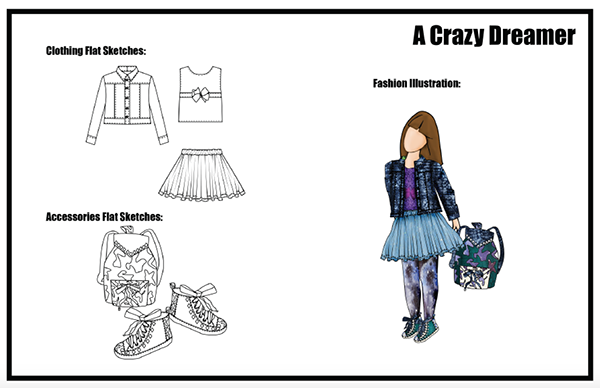 It includes a denim jacket, jersey top, tutu skirt, a backpack and some fun sneakers. 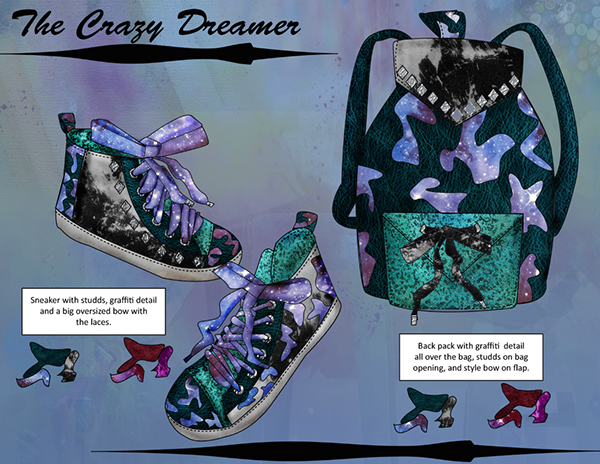 The backpack and sneakers up close & all detailed out with photoshop & illustrator. 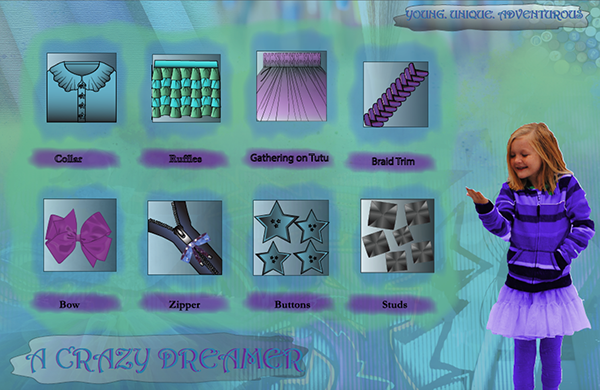 A mini kids collection demonstrating theme board, key details that will be used in the collection and a outfit with accessories.